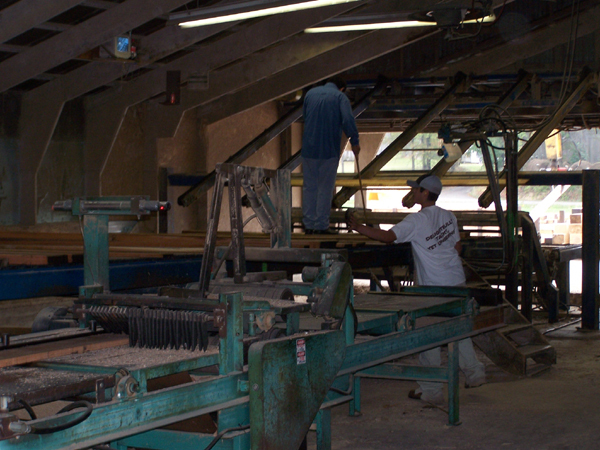 After the log has been cut into boards, the boards are edged, and then sent to a grader. The grader grades the board and checks for defects such as knots and wormholes. The grader uses a grader's stick to determine board feet in the board, and marks the grade and board footage on the board. After that, another person adds those two values into a handheld computer to tally that day's production.